June 15, 2017—Spring is turning into summer soon and it’s time to think about our yards. It’s time to ask ourselves if we can continue our current practices of lawn upkeep and still protect the planet. It’s estimated by the EPA that lawn irrigation uses approximately 9 billion gallons of water daily, sending nitrogen from lawn fertilizers into our waterways. Also, millions of tons of pollutants are emitted into the air from lawnmowers. 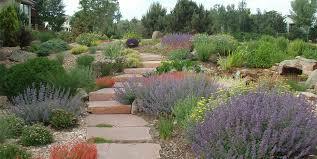 Xeriscaping with native plants reduces water needs. What can we do to eliminate the stress our lawns create on the environment? Xeriscape! We can replace turf that requires an excessive amount of water with plants that can withstand drought conditions. 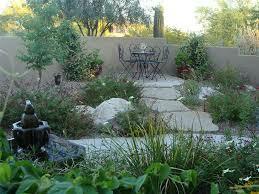 Xeriscaping is a more creative and less toxic method of maintaining the land around our homes. It uses plants that require little water to maintain. 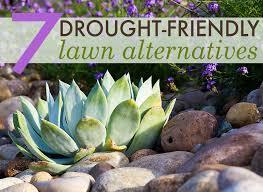 Drought tolerant plants use less water and are hardier. It’s not necessary to Xeriscape your entire lawn. You can decide how much you want to plant sustainably. 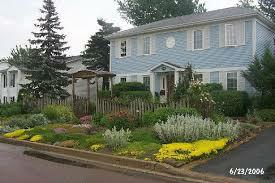 Choose native plants and plants well adapted to your area. Native plants are already survivers of the climate you live in. Rama Nayeri of Creation Landscape Design says, “For almost every non-native plant there is an equally sustainable native option”—which also attract native wildlife. Use plants native to your area. Most drought tolerant plants for your area would be plants native to your region. These are the original plants that graced your landscape before folks started digging them up! The website, Native Plant Finder, at http://www.nwf.org, will help you identify native plants to your area buy entering your zipcode. Xeriscaping requires less lawn care. You can decide how much turf to leave for such purposes as play areas, pet areas and areas for sports. Designing these in a round shape can make for easier mowing and more efficient watering. Choose turf which requires the least amount of water. You can talk to experts in greenhouses or your local university extension turf grass management program, which often offers free advice for home owners in lawn care. To prevent over watering know how much water your plants/lawn need. The most effective way to water is to water deeply but not often. Morning is the best time to water because evening waterings can invite fungus to grow overnight. Measure rain with a gauge. If you get 1 inch or more skip the watering. You can attach a rain sensor or moisture sensor to your sprinkler system to shut it off. Use a rain barrel to harvest water for plants that you water by hand. A study found that homes with sprinkler systems used 35% more water than other homes. It found that most people with irrigation systems use “a set it and forget it” method. The study states that without proper scheduling and use of sensors, a sprinkler system is extremely wasteful. If you have 1/4 acre you could end up using 6,000 gallons of water to get a one inch deep watering. A sensor by Toro has 2 prongs that measure the moisture of the soil and shuts down the sprinkler system if water isn’t needed. This method can use up to 40% less water. The Toro 53812 Xtra Smart Soil Moisture Sensor sells on Amazon for $126, or you can shop around because there are other moisture sensors available online. Mulches are used around plants to hold the moisture in the ground. They can consist of bark chips, straw, compost, gravel, rocks or a plastic fabric sheet. Whatever kind you choose, it should allow water and air to pass through to the plants. 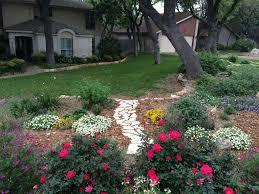 Mulch can also be beneficial in creating paths through your landscape. Organic mulches, (bark, straw, pine needles, leaves, nut shells ect) are best because they add nutrients to the soil. Large landscape rocks can also help hold moisture in the soil. A xeriscaped yard requires less maintenance than a traditional yard. Pruning, trimming dead branches, can stimulate plant growth. Use natural methods of pest control, as chemicals can kill beneficial insects. Bees and many insects are needed for pollination. To reduce unwanted insects you can use insecticidal soaps or install bird and bat houses around your yard. Natural pesticides also include Neem oil, salt spray, mineral oil, citrus oil, cayenne pepper, Eucalyptus oil, onion and garlic spray and many more. Native plants are adapted to your local soil so do not need fertilizer. In conclusion, what is needed is a commitment by each homeowner to lessen the burden on our Mother Earth. You can start small with a portion of your lawn if a large project seems too intimidating. The important thing is to make a move in the right direction, either large or small! Xeriscape for a healthy planet! Categories: Building Green, Climate Change, Renewable Resources, Sustainable Education | Tags: #climatechange, #renewableenergy, #sustainablelawns, #Xeriscaping, Renewable Resouces | Permalink. Nice article! I think you can totally have a minimal water using / minimal maintenance garden with plants that are green year round that are not cacti. Think of it as a science lab where you get to experiment and play around.